This week, we’re sharing a Five Things Friday post on the lighter side. How many of these songs have you heard before? Known for touring with an all-female band (Suga Mama), Beyoncé stayed true to form and recorded “Blow” with an all-female horn section: Katty Rodriquez, Adison Evans, and Crystal Torres. This 1987 single, written by David Byrne, is a “parody of partisan politics.” If you listen to the track closely, you can hear the work of Laurie Frink, trumpet! This track from Kool & The Gang’s 1972 album by the same name includes the work of Sharon Moe, horn. On the re-orchestrated, acoustic version of “Sober” Lorde recorded for Vevo at Electric Lady Sound Studios in New York, she featured three horn players: Rachel Drehmann, Jenny Ney, and Kaitlyn Resler! We are excited to have recently conducted an interview over the phone with the incomparable Julie Landsman! Julie was a joy to speak with and offered, unsurprisingly, a wealth of advice and information informed by her career. Principal horn with the Metropolitan Opera Orchestra for 25 years, Julie Landsman is a distinguished performing artist and educator. She achieved her dream of becoming principal of the MET in 1985 and held that position until 2010, and has served as a member of the Juilliard faculty since 1989. Landsman is a current member of the Orpheus Chamber Orchestra and has performed and recorded with the Metropolitan Opera and the New York Philharmonic. Additionally, she has performed as co-principal with the Houston Symphony, as substitute principal with the St. Paul Chamber Orchestra, and recently with The Philadelphia Orchestra as associate principal, and the Los Angeles Chamber Orchestra as principal. 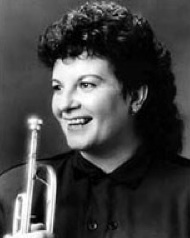 Her students hold positions in the Metropolitan Opera Orchestra, Philadelphia Orchestra, Cincinnati Symphony, San Francisco Opera and Ballet Orchestras, Washington National Opera Orchestra, Dallas Symphony, St. Louis Symphony, New Jersey Symphony, Colorado Symphony, Rochester Philharmonic, and the American Brass Quintet. 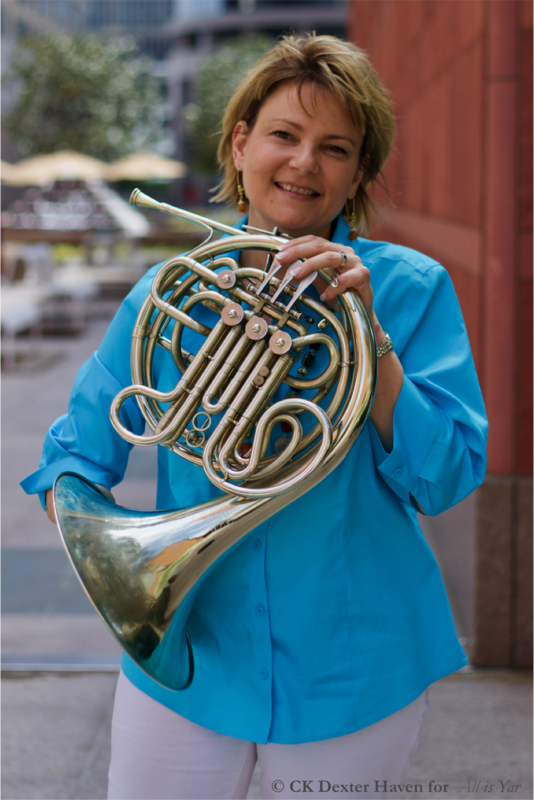 She recently received the “Pioneer Award” from the International Women’s Brass Conference and was a featured artist at the International Horn Society Conference in 2012 and 2015. 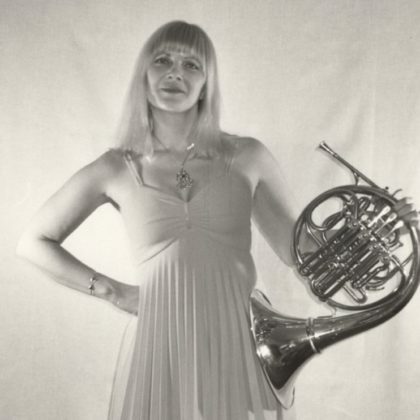 Her recent series of Carmine Caruso lessons on YouTube have led to further fame and renown among today’s generation of horn players. Landsman currently resides in Nyack, New York. Brass Chicks: Your career has been incredible and has taken you all over the world. What was the process of winning your position at the MET and becoming the first woman in the brass section of that orchestra like? Julie Landsman: Winning an audition at the MET was one of the greatest experiences of my life. The audition was 100% behind a screen – anonymous – and it’s documented in a very famous book called Blink by Malcolm Gladwell. The last chapter describes the details of my audition. The men who voted for me had no idea who I was or that I would become the first female brass member of the Metropolitan Opera Orchestra. 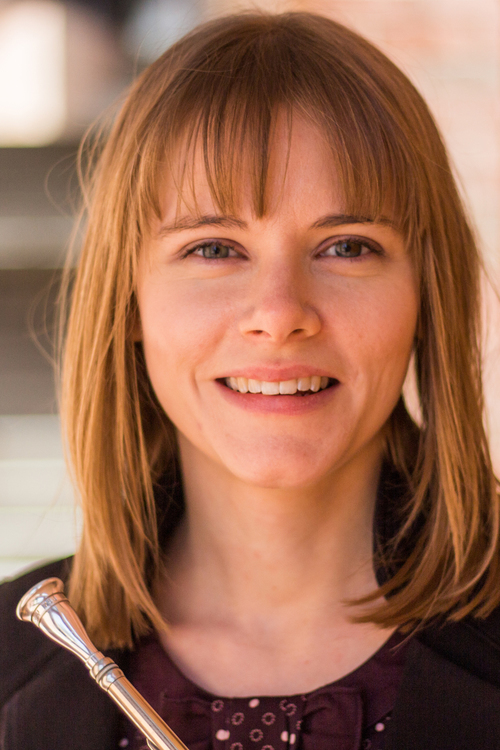 This week, we are excited to share an interview with Dr. Caroline Steiger, Assistant Professor of Music and Artist/Teacher of Horn at Texas State University. We love her thoughts on education and the changing nature of the music world! Dr. Caroline Steiger is an active teacher, clinician, and performer both in large and small ensemble settings. Caroline grew up in Southeast Michigan and went on to study at the University of Michigan, earning a B.M. 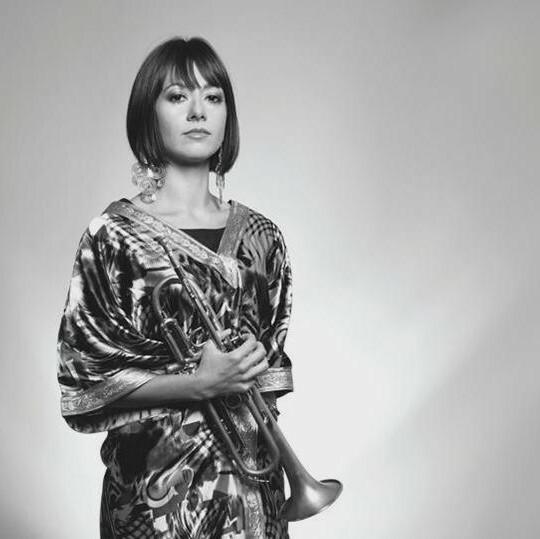 in Horn performance with Teacher Certification in 2010, Penn State University where she earned her M.M. in Horn Performance, and the University of Michigan, earning her D.M.A. in performance in 2015. Dr. Steiger is currently the Assistant Professor of Music and Artist/Teacher of Horn at Texas State University in San Marcos, TX. 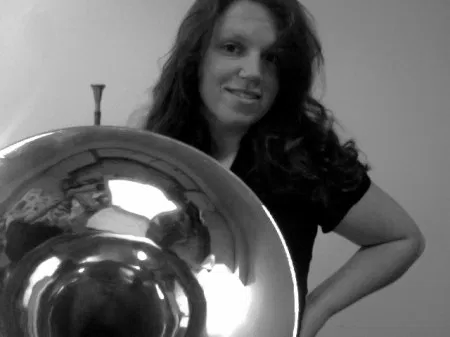 She has held positions at SUNY Potsdam’s Crane School of Music (Visiting Assistant Professor of Horn, 2014), Blue Lake Fine Arts Camp (Horn Instructor, Summer 2017), Penn State University (Teacher Assistant), and the University of Michigan (Graduate Student Assistant). Several of her students have gone on to study music at the undergraduate and graduate level, while her high school and middle school students have participated in State Solo and Ensemble (MI) as well as the Michigan Youth Arts Festival. While at Penn State University, Caroline was the Assistant Director of the Penn State Horn Ensemble and helped plan tours that included performances at the Pennsylvania Music Educator’s Association (PMEA) conference, Lancaster, and Hershey, PA.
Dr. Steiger’s work as a musician includes regular performances with the Mid-Texas Symphony and Round Rock Symphony Orchestras. She has played with the San Antonio Symphony, Detroit Symphony Orchestra, Detroit Chamber Winds and Strings, Toledo Symphony Orchestra, and the Mariinsky Theatre Orchestra during their 2015 US tour. In addition, Caroline has held Principal positions with the Dearborn Symphony (Dearborn, MI), Adrian Symphony (Adrian, MI), Rochester Symphony (Rochester, MI), Oakland Symphony (Rochester, MI), Orchestra of Northern New York (Potsdam, NY), and the Northern Symphonic Winds (Potsdam, NY). Caroline has performed in great halls across the country, including Carnegie Hall, Orchestra Hall in Detroit, Heinz Hall in Pittsburgh, the Music Center at Strathmore in Bethesda, and Hill Auditorium in Ann Arbor, getting a chance to work with conductors such as Valery Gergiev, Leonard Slatkin, Sebastian Lang-Lessing, Stefan Sanderling, Lio Kuokman, Karina Canellakis, and Giordano Bellincampi. Committed to chamber music, Caroline has played with the Potsdam Brass Quintet, faculty quintet-in-residence at SUNY Potsdam, the Emblems Woodwind Quintet, an Ann Arbor-based quintet focused on performing new and underrepresented works, and in 2015 participated in a chamber music residency at the University of Michigan with New York Philharmonic principal winds where she performed with Philip Myers. Dr. Steiger’s main teachers include Adam Unsworth, Bryan Kennedy, Lisa Bontrager, Soren Hermansson, and Corbin Wagner. She has also studied with and participated in masterclasses with Gail Williams, Fergus McWilliam, David Krehbiel, Robert Ward, Bernhard Scully, and Jeffrey Lang. We are honored to share Dr. Morrell’s thoughtful interview responses!